The Lowell National Historical Park is the subject of the latest America the Beautiful release. As the first silver ATB release of 2019 and the 46th overall, the state of Massachusetts takes center stage with the next beautiful design in the series. 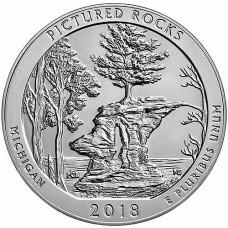 If later 2018 issues of silver ATBs are any indicaiton, mintages of this release could be quite low. Many of the most recent ATBs have seen mintages of 40,000 or lower. Conatins 5 troy ounces of .999 silver. Is considered United States legal tender with a face value of 25c. The first release of five total during 2019. Overall, the 46th release of the ATB series (the series began in 2010). Orders of individual coins are shipped in protective capsules. Orders in multiples of 10 come in original mint sealed tubes. Orders of 100 come in original strapped mint-sealed monster boxes. 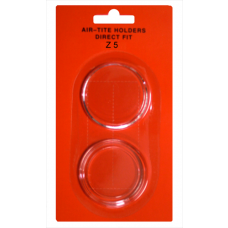 Perfect fit Z5 Air Tite holders are available here. 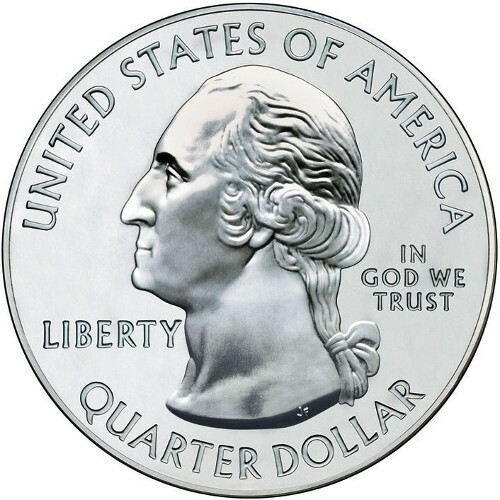 The obverse depicts the classic bust of George Washington, resembling the current design of the U.S. Washington Quarter. 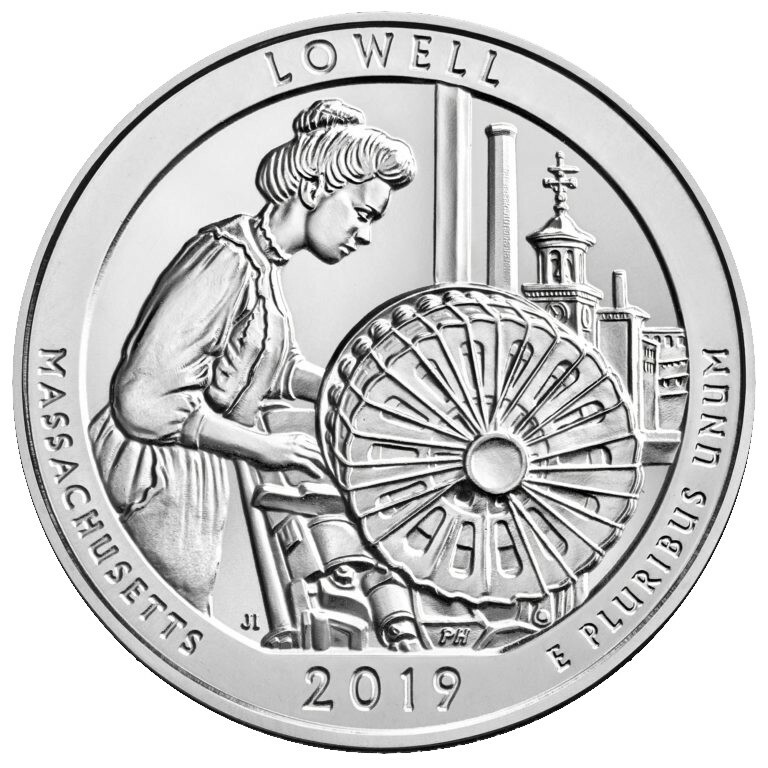 The reverse depicts a mill girl operiating a power loom, commemorating the area's textile manufacturing hisotry. Until 2010, the United States Mint had issued a relatively narrow range of bullion products for investors. In the silver category, the only option was the one ounce silver eagle. Whereas other mints around the world issued multiple silver products (the Royal Canadian Mint also offered bars, the Perth Mint of Australia had multiple designs in various sizes) the U.S. Mint kept things simple. This changed in 2010 with the advent of the five ounce silver America the Beautiful series. The five ounce silver “ATBs” can trace their roots back to the state Quarter program of 1999-2009. In an effort to make our circulating coinage more interesting, the U.S. Mint began issuing five different Quarter designs each year. There would be 50 different designs (one for every state) released five at a time each year. The program was extremely popular with both collectors and the general public. With that in mind, the U.S. Mint continued with a similar program in 2010 honoring America’s national parks. 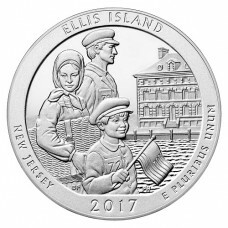 Alongside the circulating National Park Quarters, the U.S. Mint also began issuing five-ounce silver bullion coins with the same design. 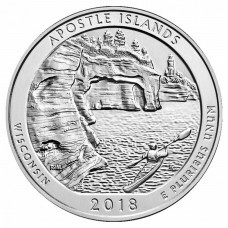 That is, they have the same obverse and reverse of the Quarter, but the coins are dramatically larger and contain five ounces of .999 fine silver. The coins were distributed and sold in the same manner as bullion silver eagles, i.e. through the network of U.S. Mint Authorized Bullion Purchasers. Admittedly, the coins were not terribly popular at first. As a bullion product, they were not as well-recognized at the iconic and ubiquitous Silver Eagle. Investors largely avoided the five ounce ATB at the beginning. As time passed, however, the coin developed a strong collector following. Whereas the Silver Eagle has not seen any design changes since its inception, collectors enjoyed buying five different versions of the ATB each year. Today, ATBs have become extremely popular and coveted collectibles. Buyers are drawn to them due to the low mintages and ever-changing motifs. Many ATBs have mintages under 50,000—which is miniscule compared to the tens of millions of silver eagles produced each year. Some ATBs now carry market values of double if not triple their melt value. A 2012 Acadia ATB, for instance, sells for $300-$400. It’s also worth noting that many ATB issues sell out immediately after their release. In 2017, for example, every ATB issue sold out within a few weeks. As Low As $3.99 Per Oz Over Spot!